We got the snow as promised, all day yesterday and more overnight. But only 3-4 inches, so I can’t complain too much. The puppies are loving it, spending half the day outside and wearing each other out. I spent the day with a Twilight marathon and knitting, and it was delightful. I pulled out the yarn from a bag I’d frogged three months ago, determined to make progress. I had one skein of Kathmandu silk in blue and fuchsia, and one skein of Cascade 220 in a coordinating indigo blue. I’d started a bucket bag way back in early December, got it about halfway knit and decided I didn’t like it. No real reason, it just didn’t seem right for the yarn. I frogged it, picked out another pattern, and then the yarn sat there for ages. So yesterday I started knitting that second pattern, and it was going swimmingly, until I realized my silk yarn was diminishing quickly and I wasn’t close the end. I looked again at the yarn requirements. What the heck was I thinking? I didn’t have enough yarn for this. Sigh. Back to the drawing board. 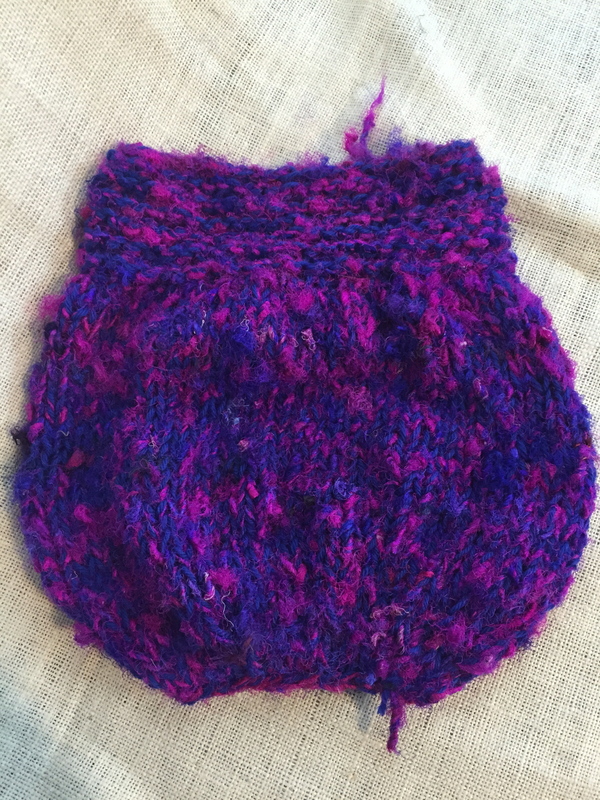 Thanks to Ravelry and my own library, I decided I’d try another Vintage Bubble Bag. No, I didn’t have enough to make a full-size bag, but that was okay because the bag was too big anyway. Time to improvise and modify! I merrily knit along during my movies and this morning I finished up the decreases and bind-off. All my notes are Ravelled here. Now I just have to decide what to do for handles. The pattern calls for i-cord handles, which is what I did the first time I made this bag. But I used up all the silk, so the handles would be solid blue. I’m tempted to buy some handles, wood or plastic or something. I like how they hold up without stretching. But I have to decide before I felt the bag, and I want to felt the bag soon, so I need to figure it out. Anyone want to weigh in? 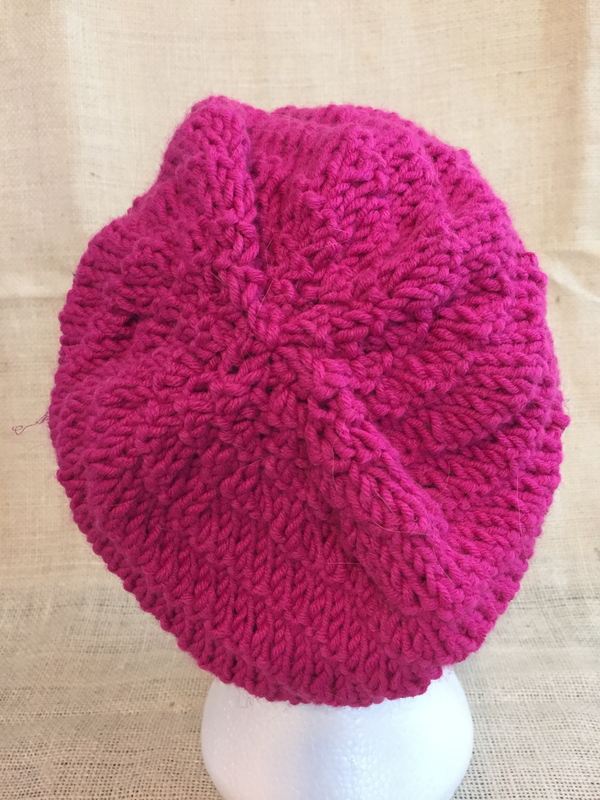 And no blog post of mine is complete without a hat, so here’s the Swirl hat I finished on Friday. 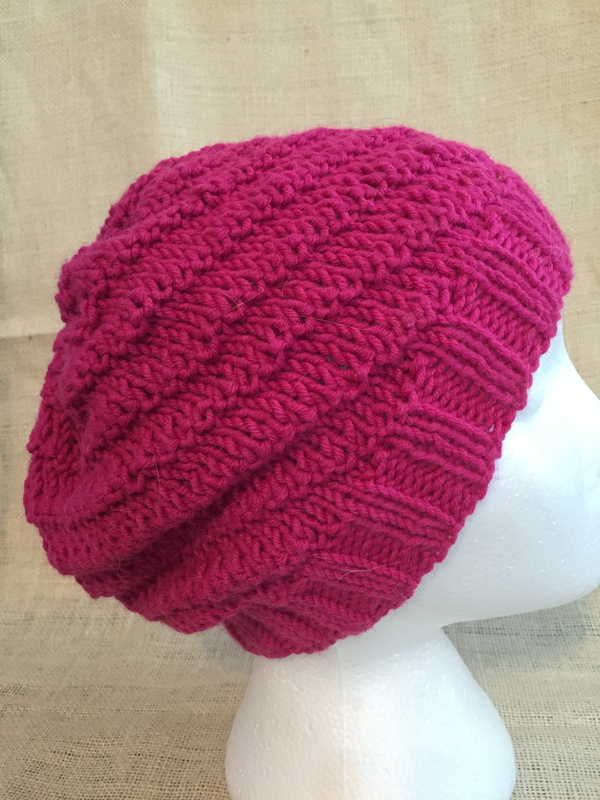 It used almost the whole skein, and the brim is nice and snug on my head. I do enjoy this pattern! Not too bad for two days’ knitting, eh? 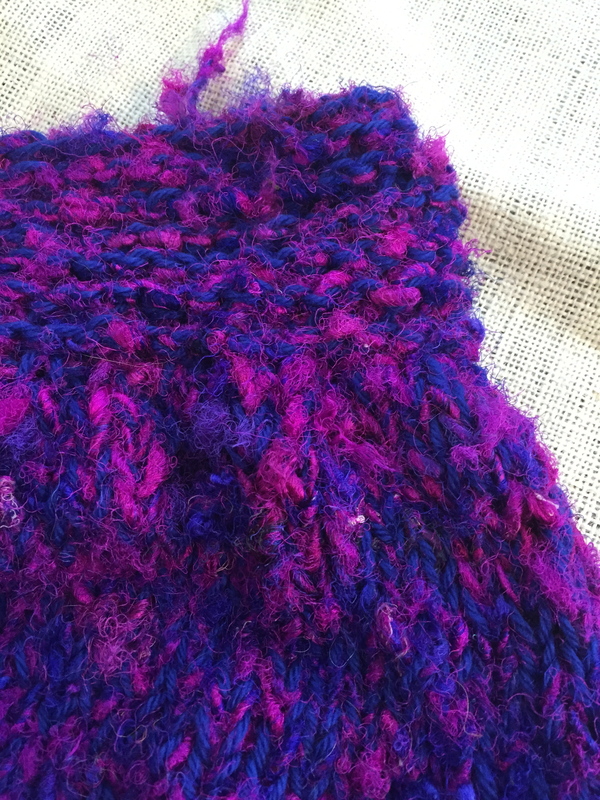 Today I might work on my gradient cowl. We’re all going for haircuts so I’ll have plenty of sitting & knitting time. How about you? Making good crafting progress during this stupid snowy winter? Great projects. I love the hat.